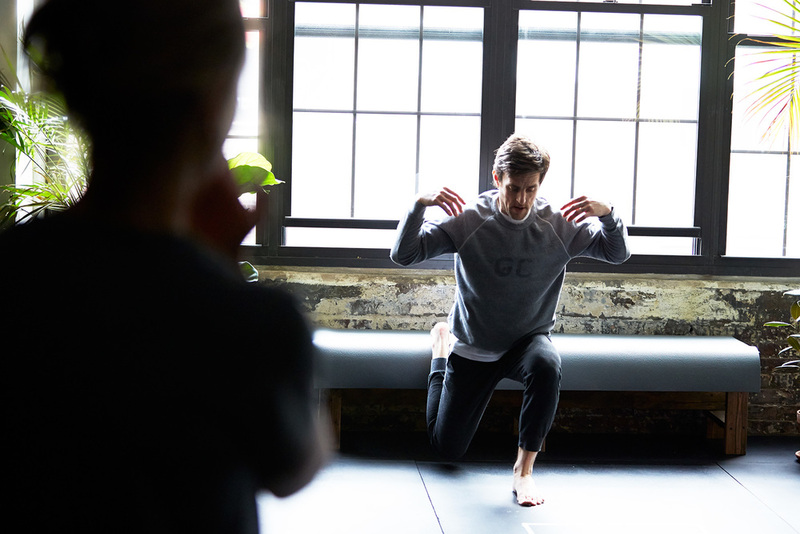 Gun Club Brooklyn is a movement studio + muscle club that started in Brooklyn, New York. Now located in the Hudson Valley. The program at the GC is based on building functional strength and increasing mobility through integrative movement and strength training. Our exercise protocols change daily but always consist of a mix of dynamic stretching, mobility practice (crawling/rolling etc.) and resistance training- loaded and body weight . This includes, pull-ups, squats, dumbell, kettlebell, barbell and sandbag training. This daily regimen has kept founder, Greg Ramirez healthy, strong and mobile for many of his 45 years. Serving him well in recovery from hand and knee surgeries, and alleviating the chronic back problems that come along with 20 years in the service industry, 15 years of Brazillian Jiu Jitsu, and playing Division-I college football.